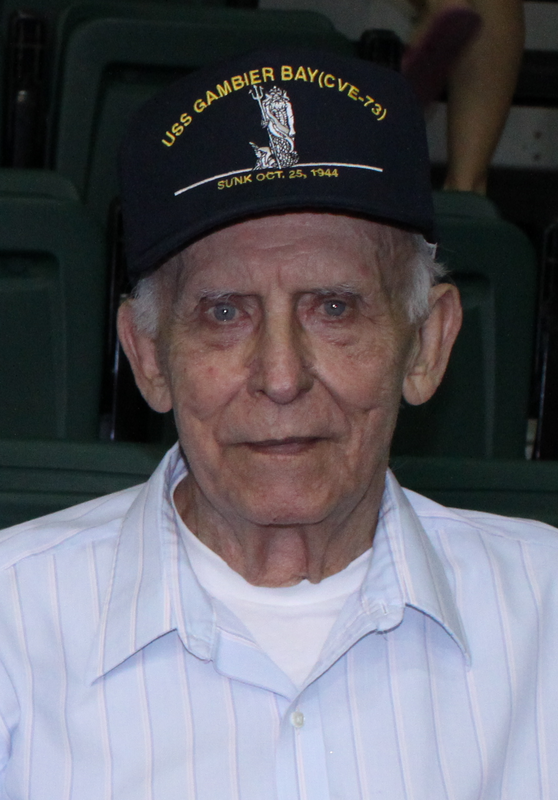 Founder of the Uss Gambier Bay -VC10 Assoc. With shipmates dead or dying and many trapped on board, it was a heart wrenching decision to abandon ship. With men in the water and the USS Gambier Bay sinking, the Japanese Cruiser Tone kept shooting. We did not lower our flag to surrender. That would have been disgraceful for our nation and our US Navy. Ambushed by the largest Japanese Naval force ever brought together, our small Task Unit was forced to leave us survivors behind, as well as survivors from 3 of our escorts that were also sunk. Pursued by a vastly superior enemy fleet, the coordinates at which the USS Gambier Bay was sunk were not correctly reported. Over a two day period, 1,110 men drifted more than 60 miles in shark infested waters without food or drinkable water. Finally, rescuers from Patrol and Landing Craft found the survivors in the dead of night. The rescuers, with spot lights aglow in waters that enemy submarines patrolled, placed their own lives in danger to find and rescue the survivors still floating about at sea. If not for them, we would be modern day "Flying Dutchmen." Our oath...Total commitment to "God and Country." The painting on right is by VC-10 fighter pilot Joseph McGraw. 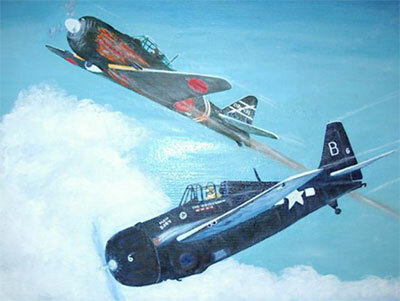 The painting depicts the fifth enemy aircraft that he shot down during the Battle of Leyte Gulf. I, (insert name), do solemnly swear (or affirm) that I will support and defend the Constitution of the United States against all enemies, foreign and domestic; that I will bear true faith and allegiance to the same; and that I will obey the orders of the President of the United States and the orders of the officers appointed over me, according to regulations and the Uniform Code of Military Justice. So help me God. "...a date that will live in infamy."